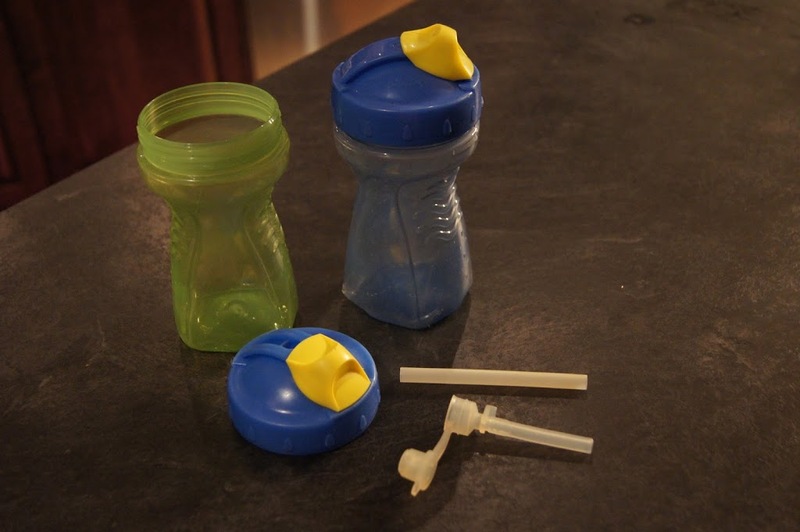 How is it possible that there has not been a sippy cup invented that meets the basic needs of mommy and child? I would think that with all the market research and talented engineers out there, that this would have been covered off years ago. 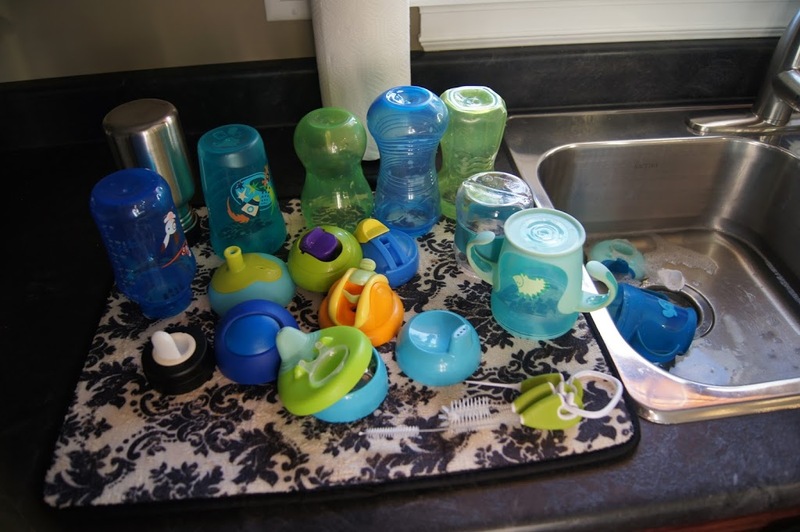 Every time I am with a group of mommies the conversation turns onto the frustration of sippy cups. You know the ones….. they say leak proof on the package but end up leaving dried milk droplets all over your living room floor. Oh, and the ones that require a university degree as a prerequisite for assembly. 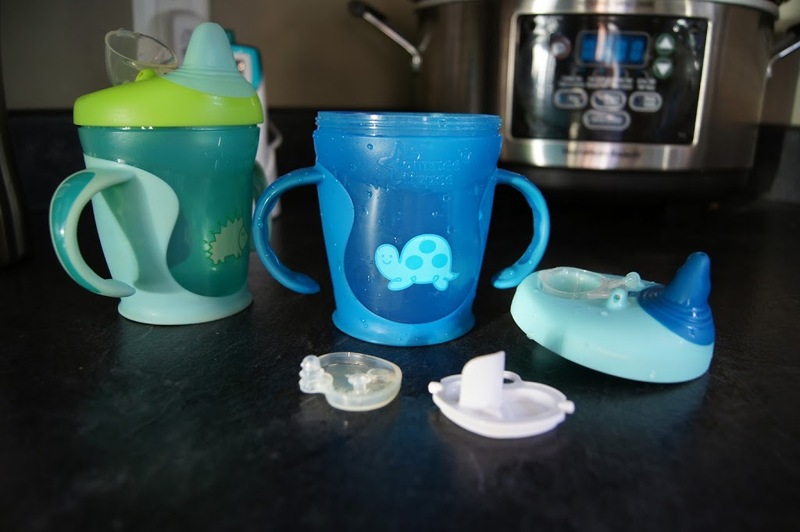 How about the cups that don’t fit into the cup holders of your stroller or car seat? 8) Convertible to offer continued use through the drinking stages i.e. alternative spouts or lids etc. What would be even better is several cups designed for each drinking stage that met all of this criteria! i.e. 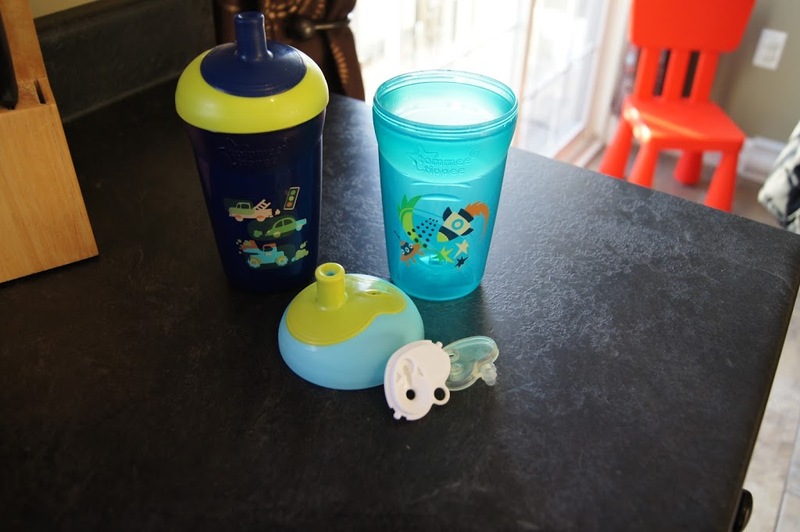 transition cup, sippy cup, straw cup and water bottle. Now, is that too much for ask for?? 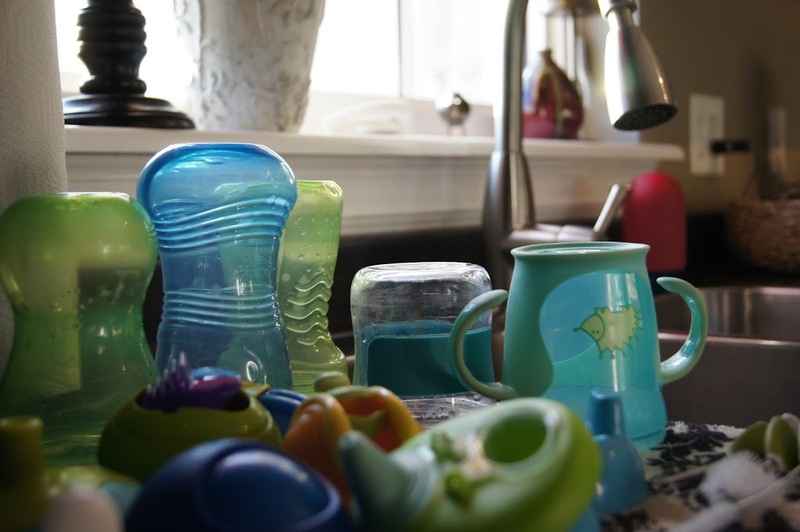 As with everything baby or toddler related, every child is different in their abilities and preferences and drinking from a cup is no exception. 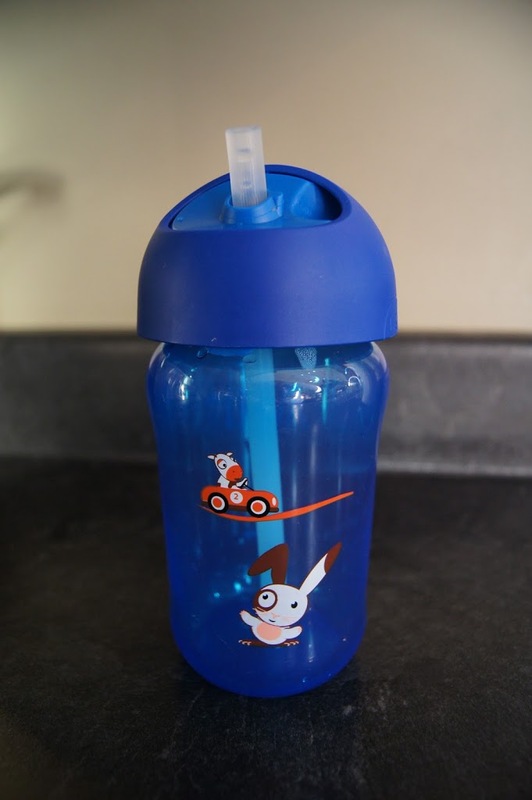 Sippy cup manufacturers offer an age guideline on most of their products which is great to guide new mothers such as myself, but I am glad I took it with a grain of salt because we had more success with the straw cup early on and the sippy spout a little later. This is in fact, opposite of what the age guidelines indicate. I also found that the cups I liked best as far as features goes, didn’t suit Chase’s preferences so it does help to try a few brands. 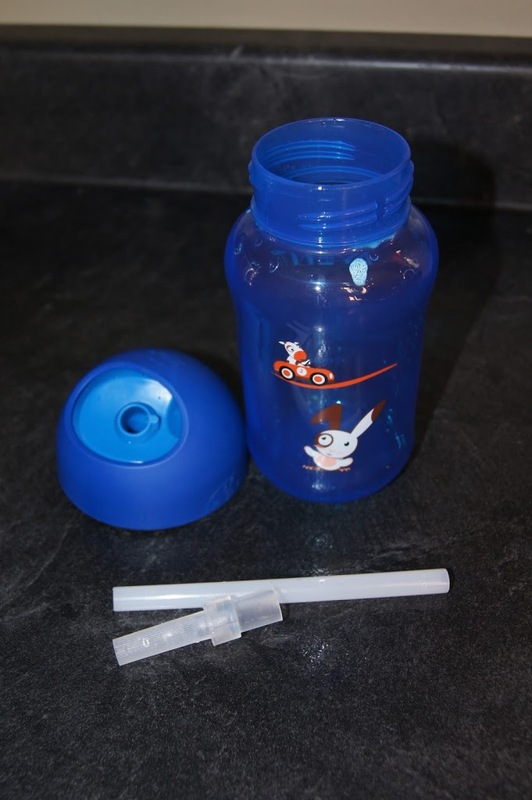 When we first transitioned Chase from breast to cup, we used the Tommee Tippee Explora trainer cup. It served the purpose for the short period in which we used it. It has a strong flow of liquid through a silicone spout that Chase learned to drink from at the first offering. It had handles for easy handling but had a wide base so we could never fit it in our cup holders. 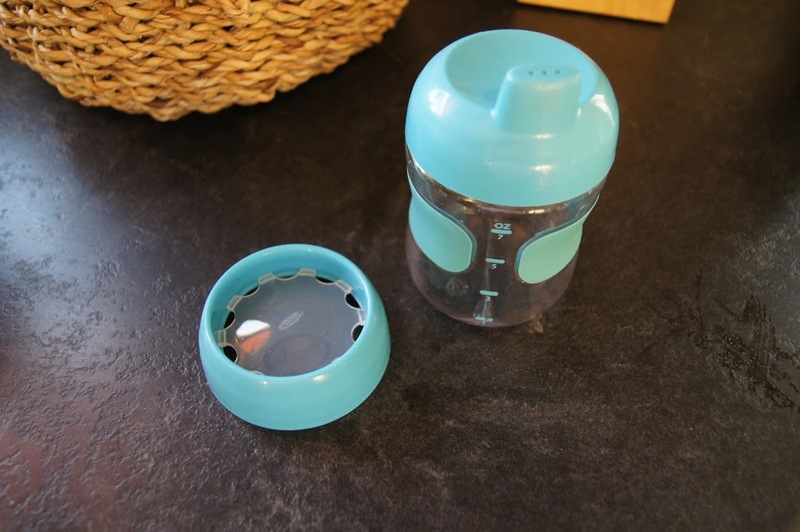 It’s supposed to be leak proof but if the cup is dropped and the spout is left pushing against the surface of a table or floor, the valve opens enough for the liquid to leak through. 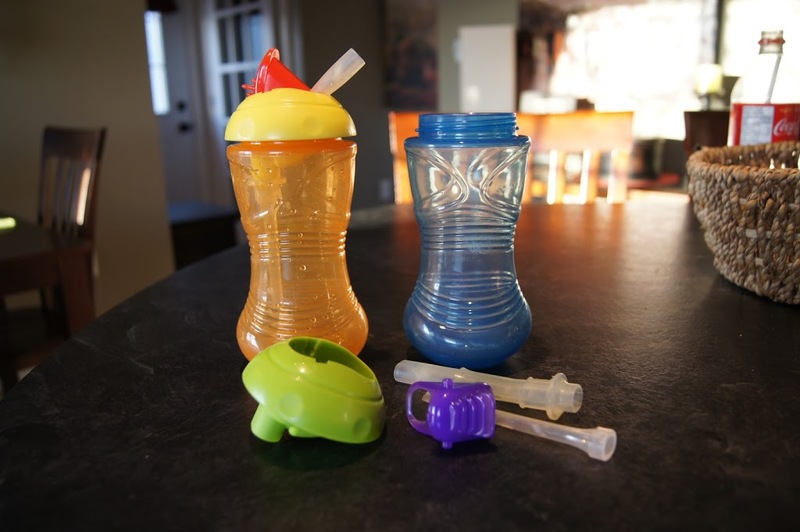 This is when my hatred towards sippy cups really began to blossom! It wasn’t long before we offered a regular sippy style cup and although he had the skills to drink from it, I could tell he didn’t really like this kind of cup. Perhaps it was having to hold it upwards as he drank and maneuvering it when it was heavy from the liquid. One day I was out with a friend enjoying a cold lemonade and I decided to give Chase a taste to see how he reacted. I offered him the straw I was drinking from and to my surprise he liked both the lemonade and the straw! It was this that motivated me to bring home a straw sippy cup for Chase to try, and sure enough we made the switch. I did try to keep the trainer cup included in our rotation but Chase would choke and cough whenever he drank from it. I figure he was used to the stronger active drinking required to get results from a straw and was using this same approach to the trainer and was getting too much at once. The trainer cups found a new home in the storage closet in my basement from that point forward. 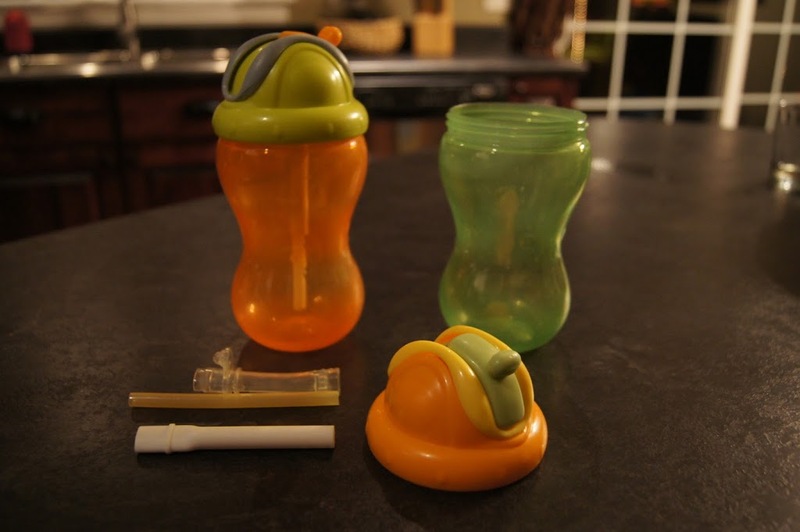 I thought straw cups would be where we would stay for a while and even after he learns how to drink from a cup without a lid, straw cups will have their place in the backpack, car and living room. I do however turn to the sippy when I need a better leak proof option. I like to keep a sippy with water in his crib so he can have a drink through the night without needing to call out for us. I would also trust them enough to put in my purse. I would never put a straw cup in his bed because of every straw cup we’ve tried, nothing seems to be fully leak proof. 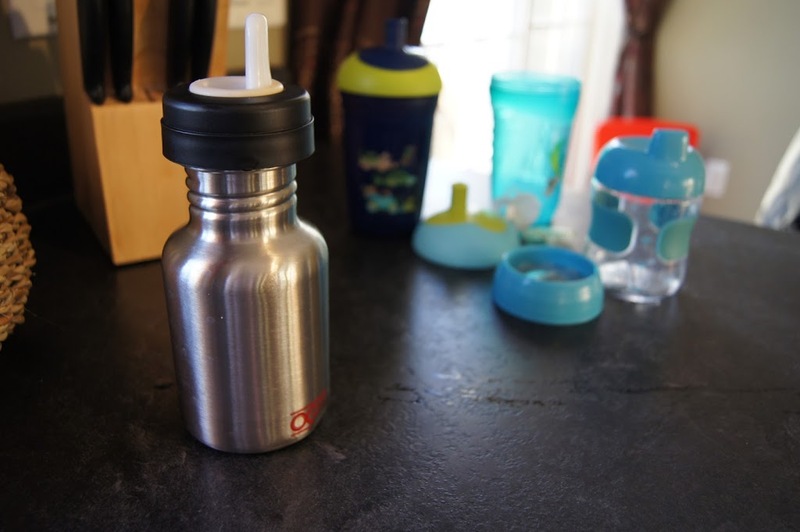 We did recently test the tommee tippee water bottle and I’d probably use that interchangeably with the sippy. So after coming to the realization of what worked best for us, I thought I could at least share a comparison of each cups features from what we’ve tried. Keep in mind my review above really just scores features because our favorites aren’t necessarily the highest ranked, which brings me back to frustration of there being no such thing as a perfect sippy!! 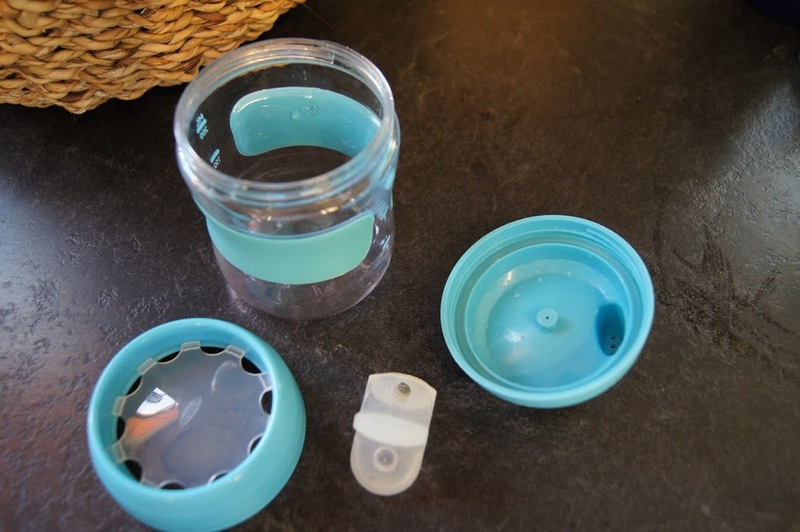 For example, although the oxo tot rated highest as far as preferred features goes, the poor flow is almost a deal breaker because Chase gets frustrated and doesn’t like to drink from it. The advent straw cup is another Chase doesn’t seem to go for even though it’s my favorite. What works best for us is the tommee tippee sippy or water bottle in the crib and the nuk and tommee tippee straw cups for milk with meals.